For many people opening and running their own business is achieving their biggest dream. Their business becomes their livelihood and they will do everything in their power to protect it. For some people this means installing high-tech, high security systems that will ensure nobody accesses their business that shouldn't be there. There are many different systems and services that are available to ensure that your business stays secure. However, somethings are just proven to work better than others. The following three ideas for increasing commercial security are known to provide some of the highest levels of comfort to business owners and employees in terms of feeling safe and knowing their workplace is protected from outside threats. A great tool to increase security is providing ID cards to everybody that is supposed to have access to the buildings of your business. ID cards can be incorporated into keycode systems that prevent people from getting into areas of the business that they are not supposed to be. By asking everybody on your staff to wear their ID card in a visible place they become a nice tool for identifying people�s authorization while simply passing them in the halls. Another great reason to use ID cards, which isn�t necessarily about security, is that it gives everybody an opportunity to learn each other's names! For ultimate security you may want to consider using a commercial access control system. These types of systems vary in depth and breadth in regard to what they can and cannot see and monitor. For instance, some security systems may be able to tell you who is entering a certain section of the building and at what time or utilize pin pads and fingerprint locks! There is almost no limit to what an access control system can do! Whether it is groundbreaking research or cash, something are definitely more safe under lock and key. A high security safe is a great resource or a company that has valuables that need to be kept out of the hands anyone without proper authorization. There are many different types of safes, so be sure to talk to a specialist about which is right for you and your business� specific needs. If you�re looking for ways to improve commercial security in Reno, Sparks or the neighboring communities reach out to Reno Sparks Lock & Safe. Our expert locksmiths offer a variety of services designed to keep your business safe, including high security and master key systems. 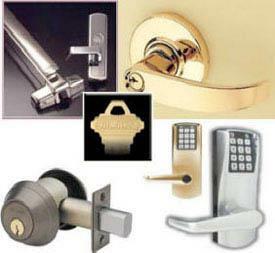 To learn more or to speak with a commercial locksmith in Reno give us a call at (775) 525-5712 today.